From bridal preparations through to the first dance. Covering from bridal preparations through to family photos following the ceremony or the ceremony through to the speeches at the wedding breakfast. This package includes the full day wedding package along with a beautifully hand crafted, 9 x 12 inch wedding album designed by us then approved by you. This makes the whole process of displaying your wedding photographs a whole lot easier. The album will consist of 15 spreads (1 spread = 2 pages) and you can choose from a variety of covers. If the above packages do not suit you, I charge £120 per hour and so if you'd prefer, you can tailor your wedding photography accordingly. A 10% non-refundable booking fee is needed to secure your date in our diary. Travel outside of Birmingham is charged at 40 pence per mile. This photo session is a good opportunity to practice being in front of a camera before your big day and shake off any nerves. It is also a chance for us to get to know each other a bit better and I can give you some tips on posing. If this session is booked alongside a wedding package it will be discounted by 15%. Struggling to think of a wedding or birthday gift for your other half...why not have some tasteful pictures taken within your home. I offer a consultation to discuss what sort of photos you would like - this can often be head/shoulders shots and they do not need to be revealing. 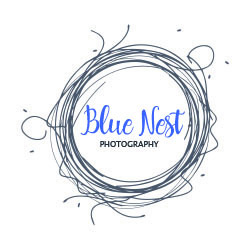 This may seem daunting, however I promise I will help you to relax with some easy poses and you will take away some beautiful shots for your loved one. You will receive a double image folio (with two of your favourite photos in - prints are removable) within a presentation box to present as a gift. If this session is booked alongside a wedding package it will be discounted by 10%.